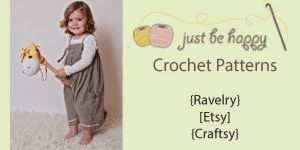 I made a sample half double crochet (my fave!) earflap hat for my neighbor's little boy, but thought it needed a little something to spruce it up. 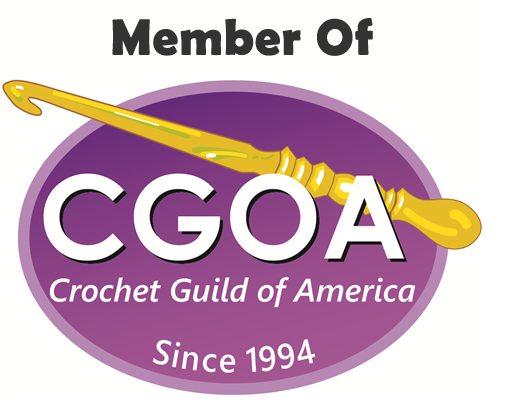 First I thought about single crocheting around the hat, then I thought I'd embroider a blanket stitch, but nah... I ended up deciding I'd go with surface crochet around the border of the hat, so here is how you do it. 1. 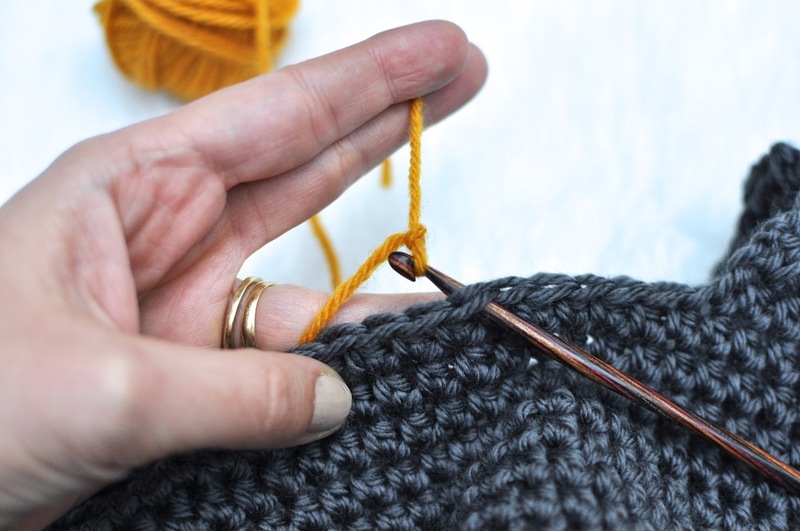 With the right side of the hat facing you, poke your hook through and put a slip knot using the contrasting yarn you want to use for your surface crocheting. You'll keep contrasting yarn ball feeding your work from the back. 2. Pull the slip knot through. 3. 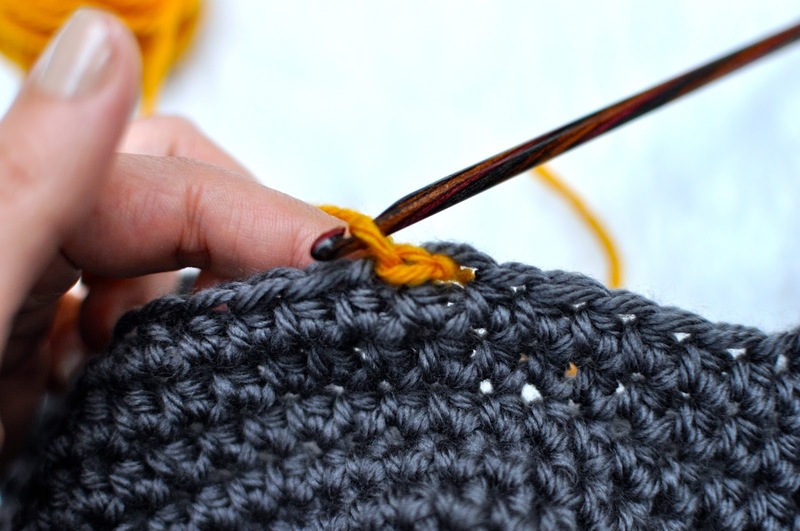 Poke your hook through the next stitch, yarn over. 4. 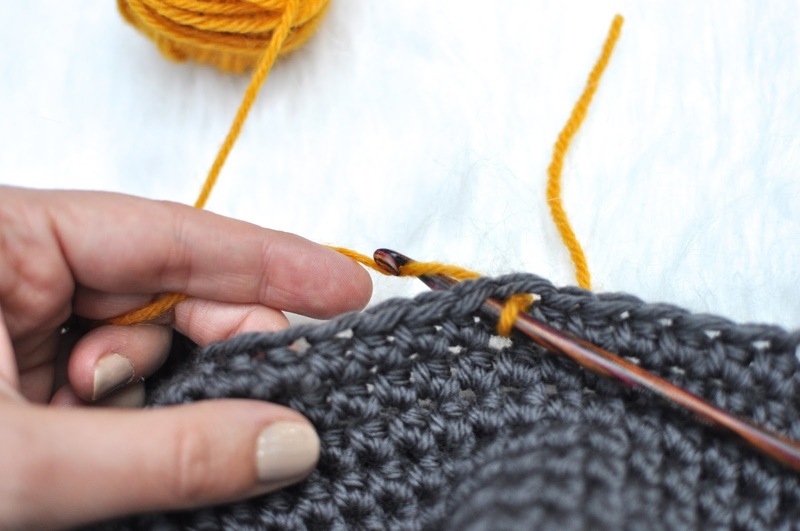 Pull up a loop and you have your first slip stitch! 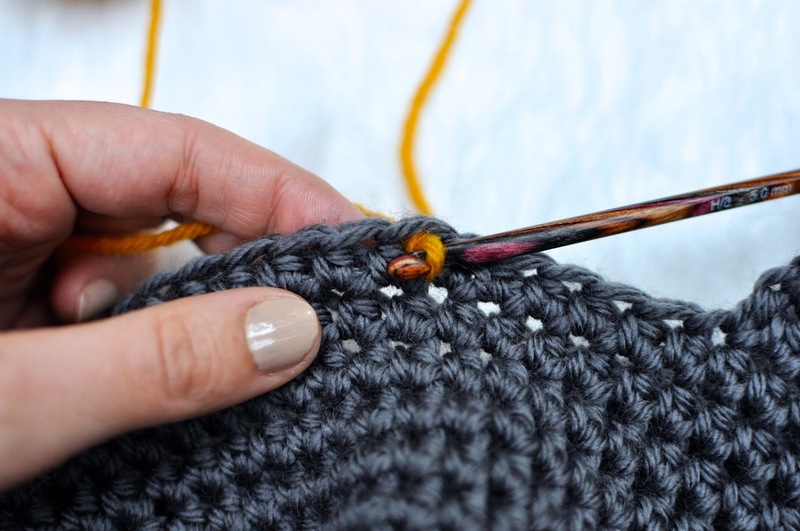 My advice for you is not to crochet your slip stitches tight or you will lose the stretch of your hat. Repeat steps 3 and 4 and this is what the right side of your work looks like after 5 slip stitches. And this what the back of your work should look like. 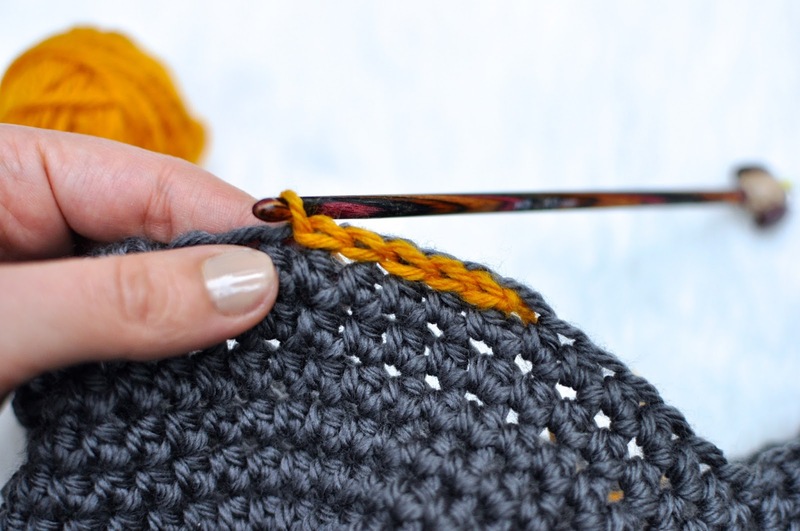 Continue all the way around until you get to the first slip stitch made. Fasten off, weave in your loose ends. You might also like this tip and this one. What a cute hat! Where did you get your hook?